The title hopes of Market Rasen Town Reserves suffered a setback on Saturday with defeat at rivals Grimsby Borough Development. 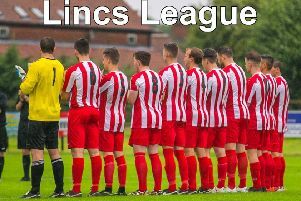 Craig McIntyre gave Rasen a half-time lead in the top-of-the-table clash in East Lincs Combination Division Three. But second-half strikes from Jake Eggleston and John Higton gave the hosts a 2-1 win which leapfrogged them above Rasen into second place. Town are third, three points behind leaders Susie Star with a game in hand, ahead of a defining week. Last night (Tuesday) they were due to travel to Louth Town Old Boys Vets ahead of home matches with Alford Town Second XI on Saturday (2.30pm) and GB Kitchens next Tuesday (6.25pm).